Psychodynamic therapy examines recurring patterns with the self and others. It encourages individuals to bring unconscious fears and desires into consciousness, thereby allowing individuals to alter negative behaviors and recover from traumatic experiences. 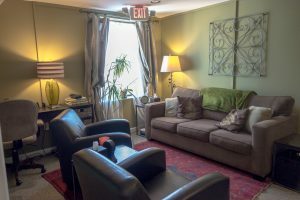 Psychodynamic therapy is rooted in traditional psychoanalysis while incorporating modern day practices and beliefs. This form of therapy has been used to effectively treat depression, anxiety, somatic (bodily) disorders, phobias, eating disorders, and personality disorders. It can also prove beneficial for anyone interested in how their thoughts and actions are rooted in past beliefs and experiences, especially relational challenges. This is why it is also inherently useful for trauma work. Because psychodynamic therapy is so personalized, it is not possible to manualize it—that is, to write a manual that covers what each session will be about. Therefore, it’s not possible to study it in a randomized control trial (RCT), so despite evidence showing positive outcomes for those in psychodynamic treatment, this modality is not listed as a top-tier evidence based practice. It’s helpful to remember that while RCTs are undoubtably valuable, there are many forms of knowledge we can gain without them. For example, we don’t need to randomize people into a “parachute group” and a “no parachute group” to know that parachutes are more effective than simply falling. So while it is absolutely important to research therapies to learn how, whether, and for whom they work, RCTs aren’t the only way to get that valuable information.